It is fall. That means soups and stews and all things warm and comfy. As the weather cools off we enjoy making dishes that sooth the chill in your bones and in your soul…after all, when you come back in from a day of teaching children or running trails there is a need from some whole-body warmth. To that end, this might be the best damn recipe we have made. 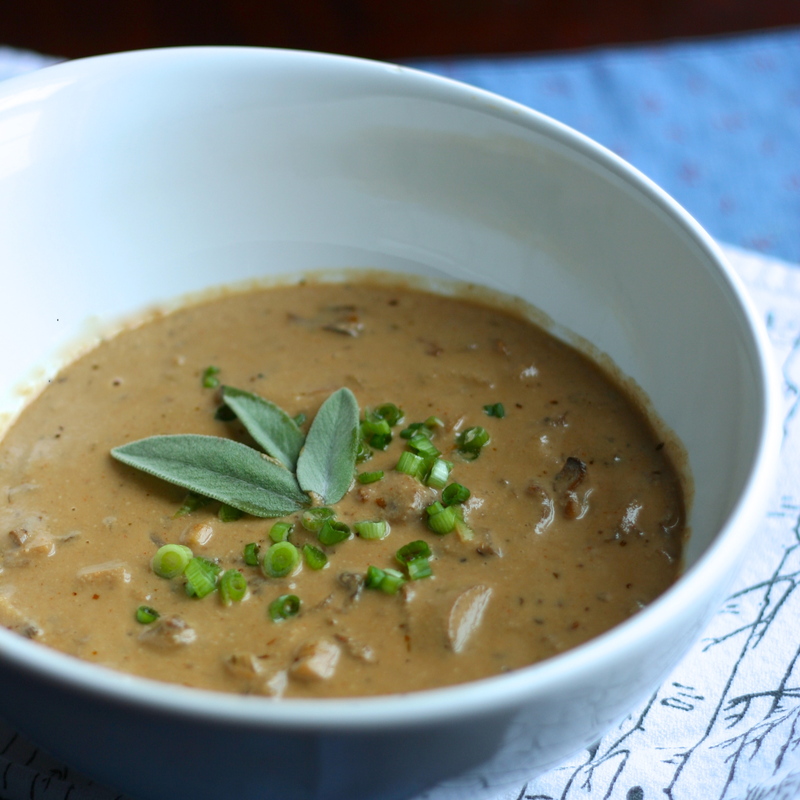 Cream of Mushroom soup has been something sorely missed by both of us, so when we found this recipe we jumped on it, tweaked it, and made it our own. The mushrooms are the star of this dish, adding such an earthy richness. Of course, dried mushrooms can be a bit gritty, so do the best you can to pick out any really dirty ones. *Herbs de Provence contains rosemary, marjoram, thyme, and savory; but if you don’t have it you can just use some, all, or just one of those spices. **Make sure you get sherry vinegar and not sherry wine. Steep the dried mushrooms in the vegetable broth. Either heat the broth up on the stove or in the micro (no need to be precise in temp). Steep for 30 minutes or so. Drain the mushrooms; Save the broth. Squeeze out as much liquid as you can from the mushrooms; chop them and set aside. Sauté the onion in olive oil until translucent. Add the mushrooms, Herbs de Provence, and salt and pepper. Cook until the mushrooms have released a bit of liquid. Add the sherry vinegar, then pour in the broth and add the chopped dried mushrooms. Stir in the cashew cream. Adjust the thickness by adding some water or alt-milk if necessary. Top with scallions (if desired). Thanks to Michelle’s tiny kitchen for the inspiration for this recipe. This looks and sounds so good. I’ve also been missing cream of mushroom soup! Will have to try it soon. Let us know if you try it. Would love to hear about it! I’m pretty sure I won’t forget whenever I get around to trying it. Thanks for sharing! If hope you enjoy it. We love a good soup and this did not disappoint. Thanks for the comment! alright, finally had the chance to make this soup last night! I went a bit heavy on the cream but it was still sooo good. may make a post about it sometime soon. thanks for sharing! Yeah, the soup does have a bit of the cashew cream…but I’m glad to hear that you enjoyed it nonetheless. You are certainly welcome for sharing–we love to cook and share our experiences–and thank you for reading and trying out the soup! 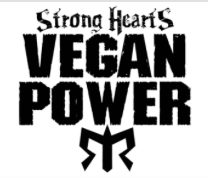 Vegan on! i’m sure you’ll know about it when i post it. I can’t wait to try this. I love soup, even in the summer, so this will happen soon in my kitchen.